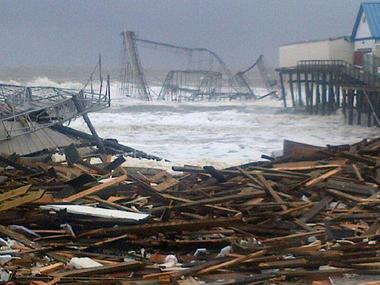 My home state of New Jersey, as well as much of the East Coast of the U.S., was devastated this week by the effects of Hurricane Sandy. I am asking that you please follow the link below and consider donating to one of the mentioned organizations. We spend $10 on far stupider things than ensuring that a child has something warm to eat or somewhere to sleep after his/her home has been destroyed. So undead or alive, have a little heart and give what you can.